Eton Mess. One of the best summer puds going. You might disagree with me, but you would be wrong. There’s nothing quite like strawberries and meringue where this person is concerned. I’ll even put down my chocolate for it. Though, most likely, if I’m at a barbecue, I’m just skipping the savoury to make way for the chocolate option and the Eton Mess. Enough of my complete incapacity to avoid sweet things. 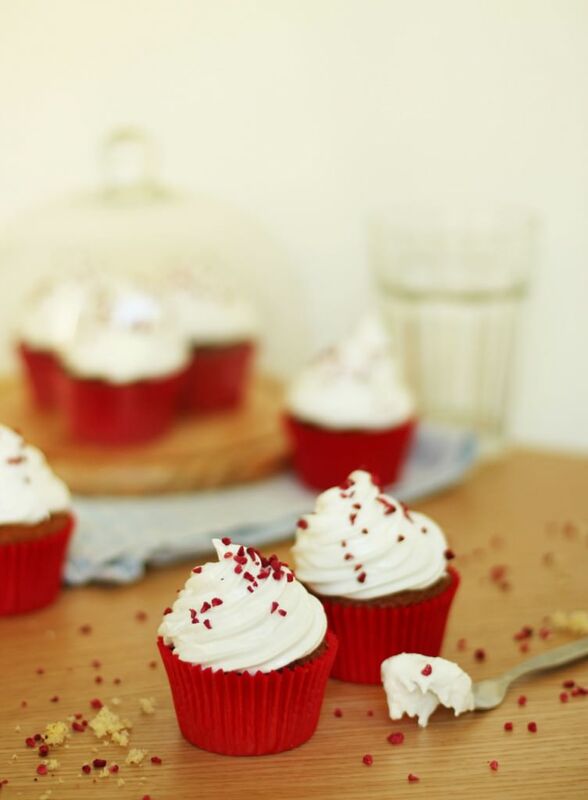 Onto this week’s British favourites cupcake instead. Probably unsurprisingly given my rambling introduction it’s the recipe for Eton Mess cupcakes. 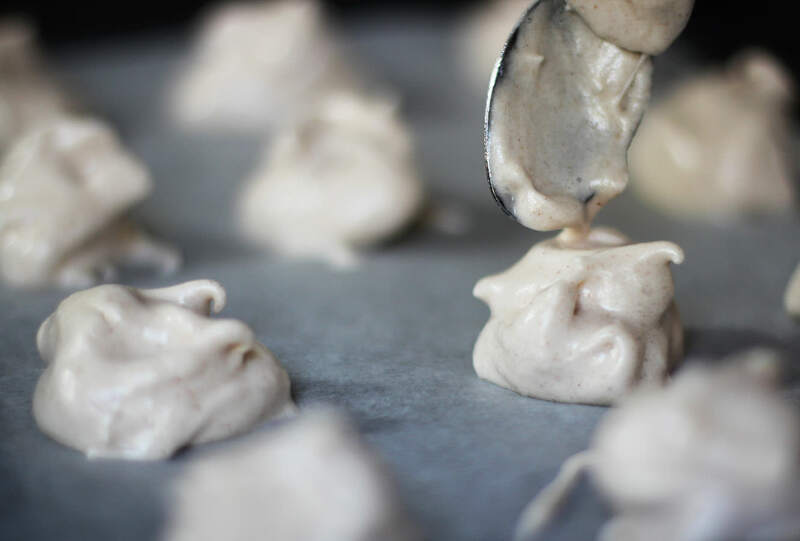 This recipe uses seven minute swiss meringue frosting. It’s the first time I’ve made it and it was pretty darn easy, so definitely give it a bash. I did notice that over a couple of days it hardens and basically becomes a meringue, and mine was a touch gritty. 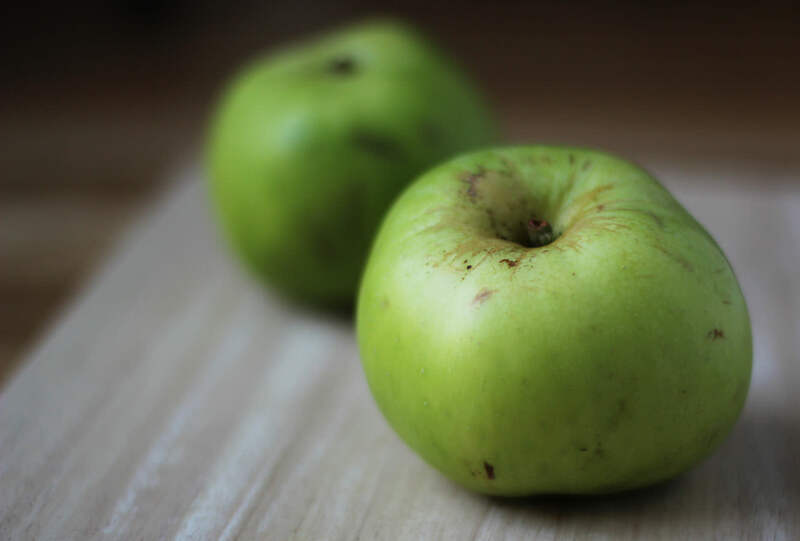 I think the best thing to do is make them and allow to sit out for a couple of hours so the outside hardens a little but the inside is still fluffy and smooth. A make on the day jobby if you can I reckon. *Any association to real persons, living or dead, is purely coincidental. If you’re fancy like me then some freeze dried strawberries to sprinkle wouldn’t go amiss. 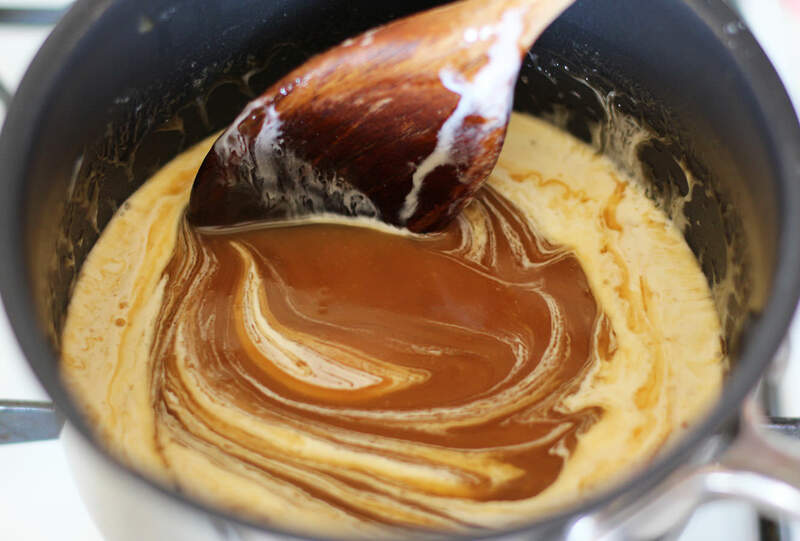 Whisk together the margarine and caster sugar until the mix is light and fluffy. If you are using butter then make sure it’s room temperature else the sugar will fly everywhere and you will just have a block of butter stuck in the middle of your whisk. I used some strange hybrid which was Stork in a block form. Curious. 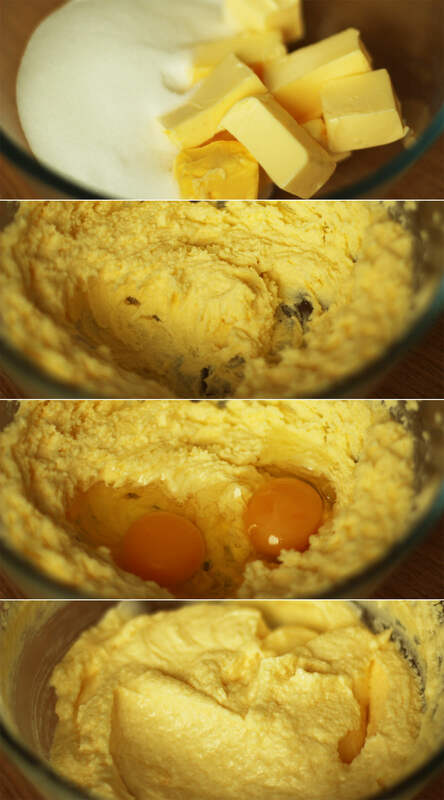 Add the eggs and whisk again until combined. Don’t worry if the mixture looks split, there’s just too much liquid at this stage. Time to add the flour. 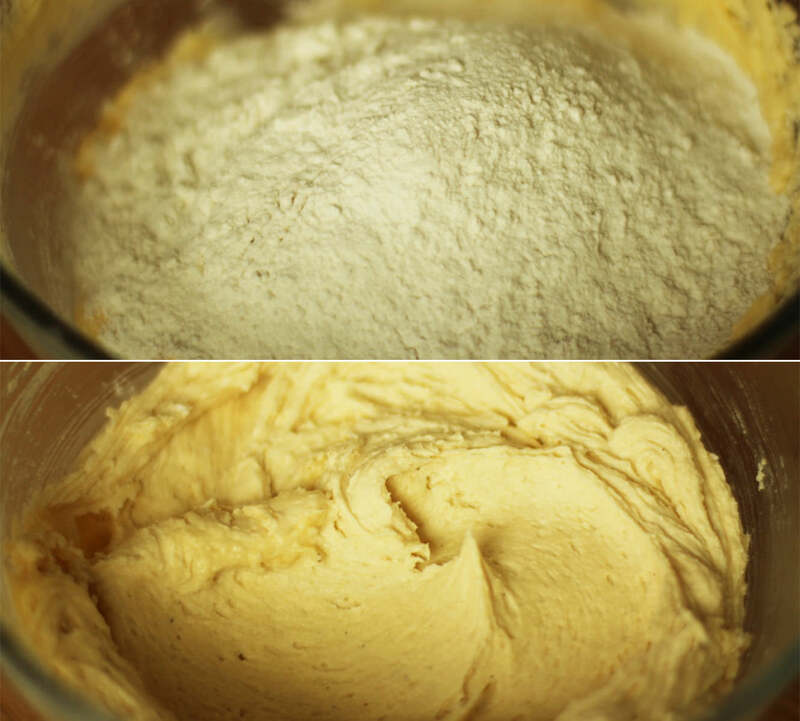 Add the vanilla, flour and bicarbonate of soda and beat with your electric whisk until smooth as above. 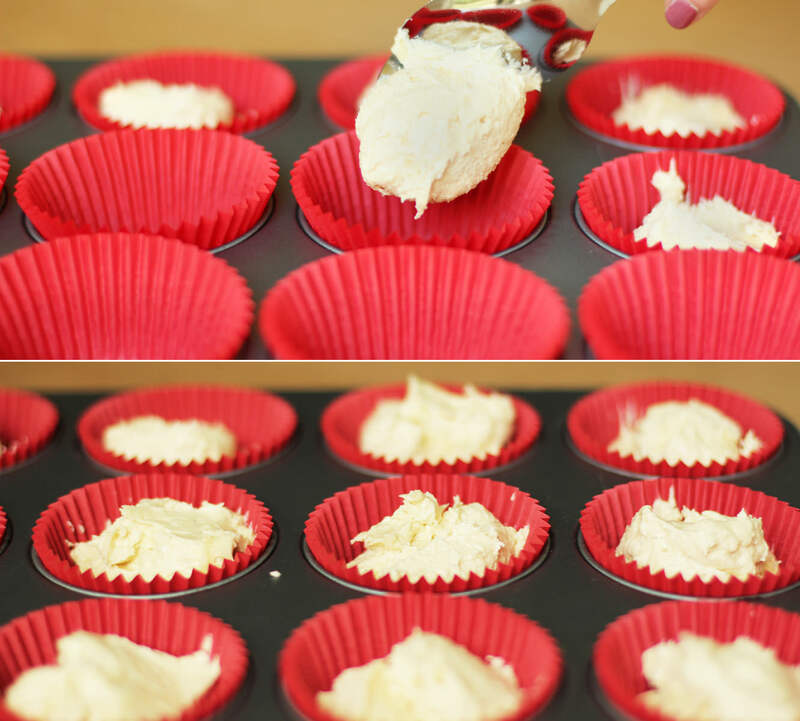 Distribute the mixture evenly between 12 cupcake cases. Usually about two rounded dessert spoons into each case does the trick. Bake on 180C/gas mark 4/350F for 25 minutes until golden and springy to the touch. It’s seven minute frosting time. Anyway. 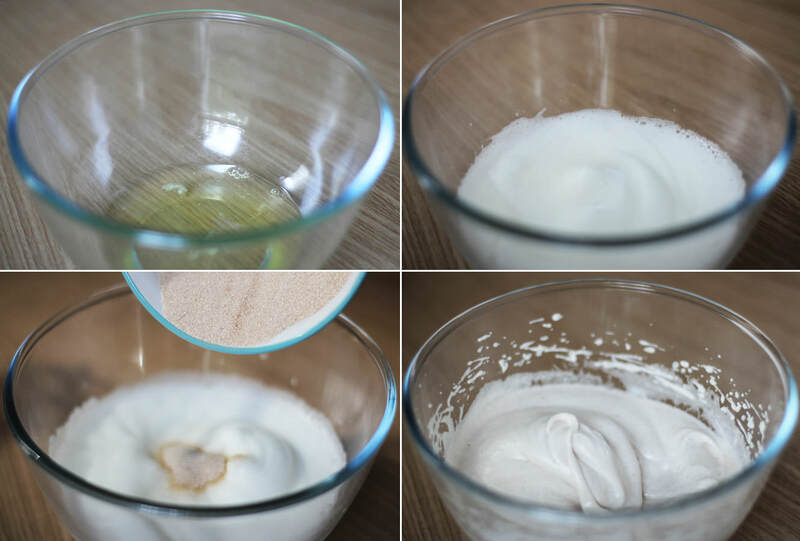 Put the water, sugar, cream of tartar and egg whites into a heatproof bowl. This should be placed over a pan of simmering water. Don’t let the water touch the bottom of the bowl. Whisk, for, you guessed it, seven minutes. It should be able to hold its own shape and not fall off the whisk when you lift it. If it’s not stiff enough just keep whisking for another minute or two. I wouldn’t really recommend this if you don’t have an electric whisk. 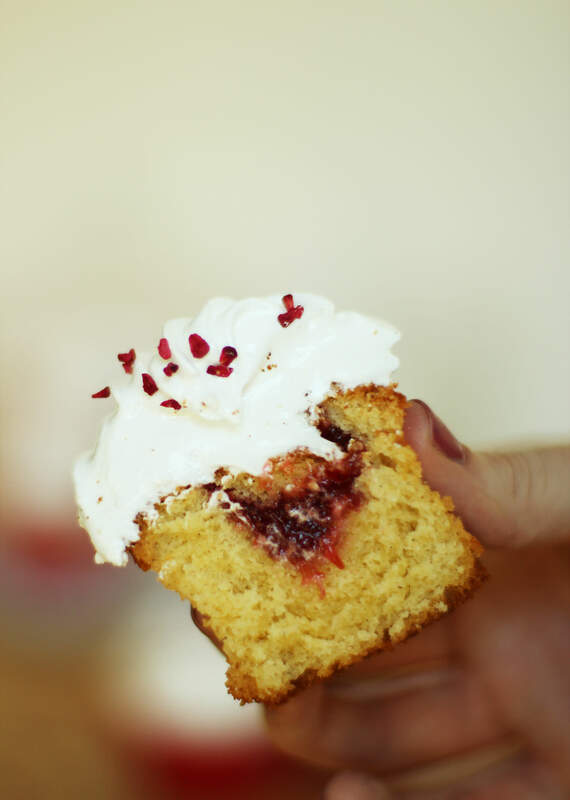 Cut a hole in the middle of your cupcakes with a small sharp knife. Remove the pointy bit, just keeping the top. Place excess cake in mouth. Fill the hole with jam and place the lid back on. Fill a piping bag with the swiss meringue frosting and pipe on in your preferred way. I used a fairly standard star shaped nozzle for this. Sprinkle with freeze dried strawberries, or maybe pop a fresh one on there if you have some going. Chaps! Welcome back, apologies for my prolonged absence. Holidays have been had, possessions been moved, and I’m back online. Still riding high on my summer vacay, everything I thought of for this post was just not seasonal. Autumn is my favourite season usually, but, quite out of character, I’ve actually enjoyed summer this year. To get myself into a cosy autumnal mood I decided to turn an old summer favourite – Eton Mess – into a pudding perfect for fall. 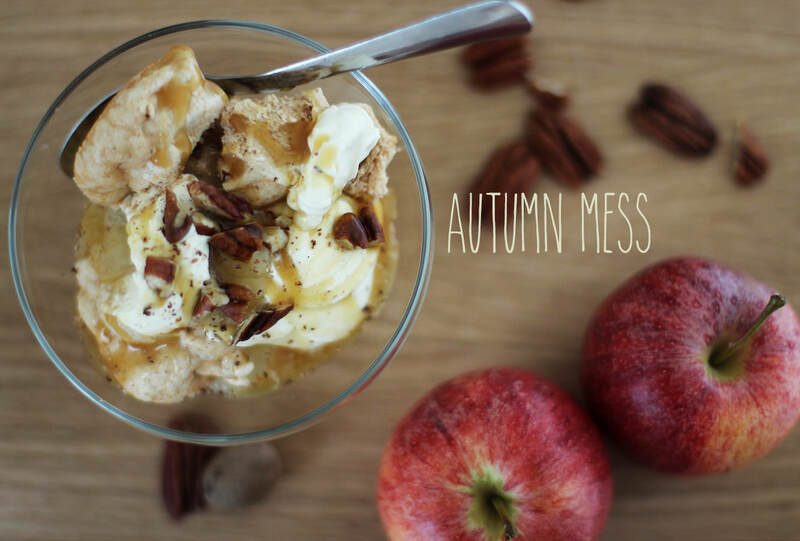 I present Autumn Mess (or Fall Mess, I guess, if you’re across the pond, but that sounds a bit too much like a road traffic accident). 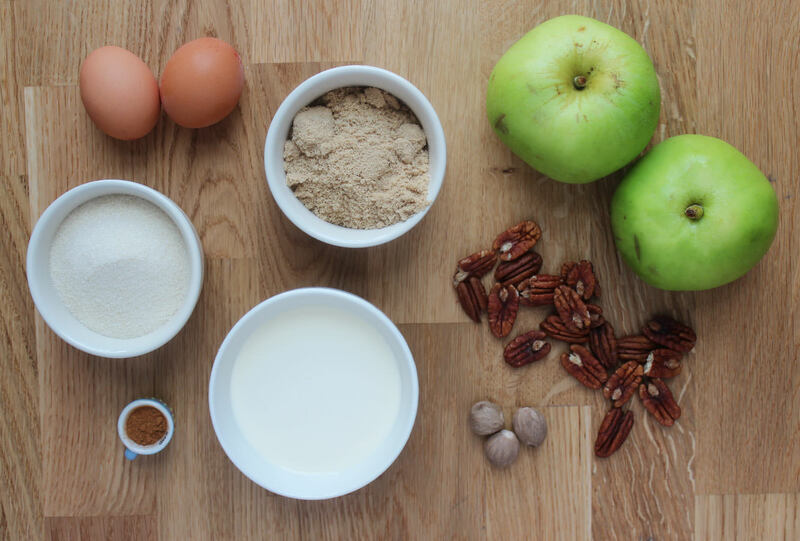 Mix together the cinnamon and sugar. I actually used 1/2 a tsp of cinnamon, but felt it was a little strong, others disagreed, so go with your gut. It depends on whether or not you are a cinna-fan. Using an electric whisk whip the egg whites until they are three times their original size and starting to turn glossy. Gradually whisk in all the sugar until you have stiff peaks (and can turn the bowl upside-down without the mix falling out). Using two teaspoons place blobs of the meringue onto a baking sheet lined with greaseproof paper. Don’t grease this to stick it down. If you need something to stop it curling up, dab a little of the mixture under each corner as glue. This doesn’t need to be done too carefully as the purpose of this dessert is not to look pretty. Bake on gas mark 1/2, 130 degrees C or 250 degree F for an hour. Turn off the oven and leave until completely cool before taking them out. While the meringues are in the oven, you can get going on the rest of the components. 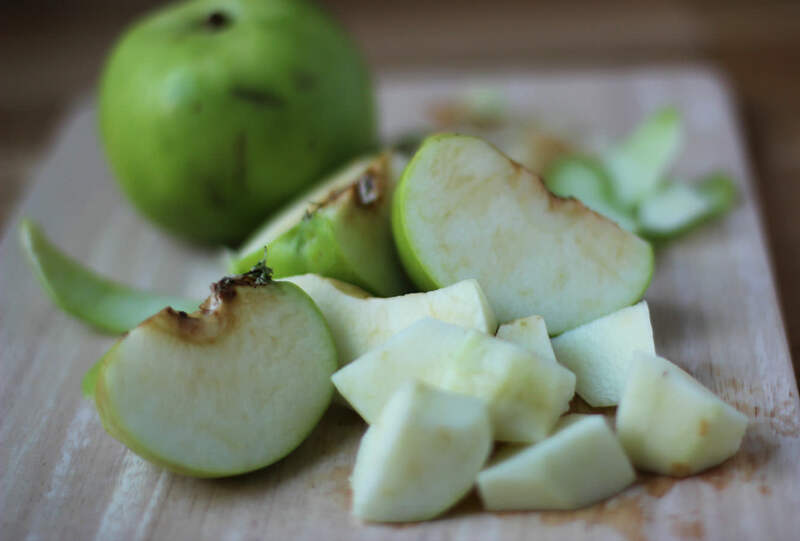 Peel and chop the cooking apples into small chunks. Place into a microwaveable bowl. 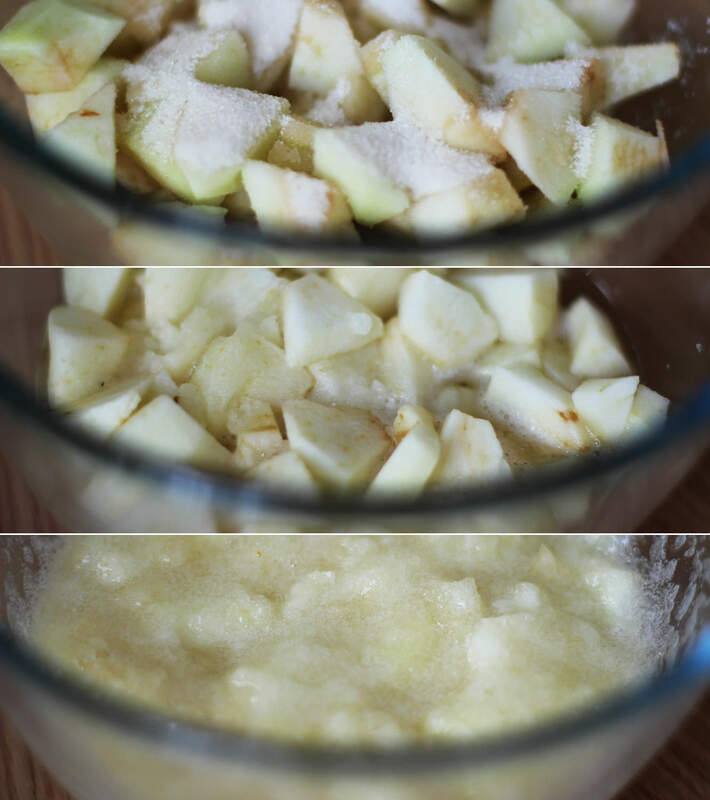 Add three tablespoons of water and three tablespoons of caster sugar and place in microwave. Microwave on a medium-high heat until you have a pulpy consistency. This took about 10 minutes with fairly regular stop and stirs. If you are thinking you have seen these pictures before, I’m sorry, I’m plagiarising myself. I know I know, in the very next post too. 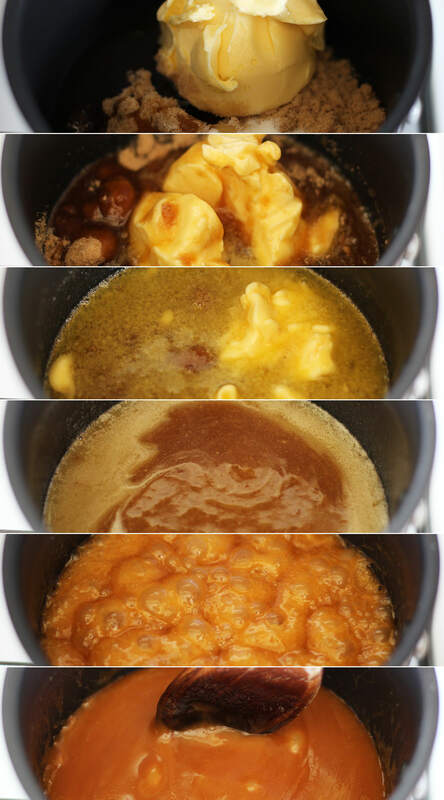 In a saucepan add together the butter, brown sugar, golden syrup and salt. Heat gently until melted and then bring to a simmer. Simmer for 10 minutes. Stir regularly so that it doesn’t catch and burn. Leave to cool for about half an hour. Stir in 100 ml of double cream and leave to cool. Whisk the remaining double cream until thick and gloopy. 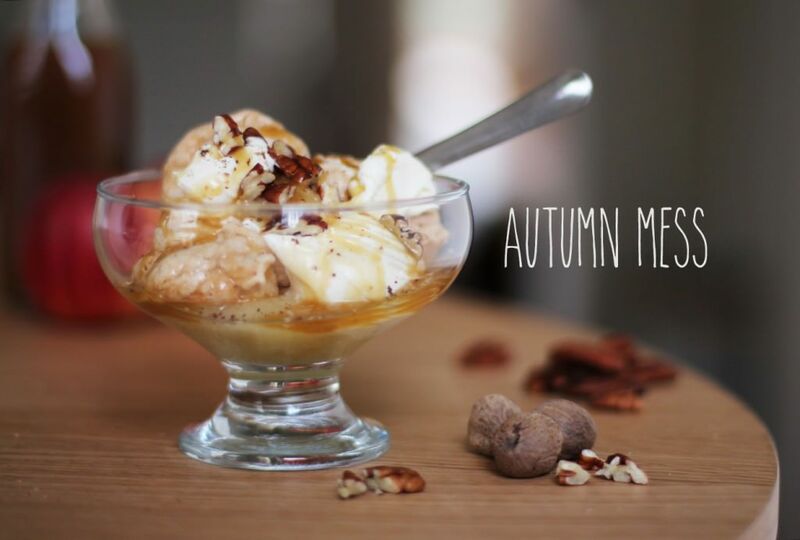 Once everything is cool combine the meringues, cream, caramel and apple to taste. I let everyone do this to their own preferences in individual bowls which worked really well. Sprinkle chopped pecans and grate nutmeg over the top (if you like it) to finish. It’s great to have you back.